When it comes to a few extra minutes of shut-eye in the mornings, I'm all for it. As a newly converted second-day hair wearer, my morning routine has been shortened significantly. Our hair follicles are constantly producing oil and actually benefit from less frequent washing. Now for me, I'm talking 3 days max. I actually find that my hair stays less "greasy" looking when I put in a mousse or volumizing spray before blow drying, as opposed to leaving it au-natural. I have also noticed that adding curls will give my hair an extra-fresh appearance since it isn't sitting directly on my scalp collecting oil. I always take a daily bath or shower, and when my hair isn't involved, dry shampoo and texturizing powder are they key to a fresher look. 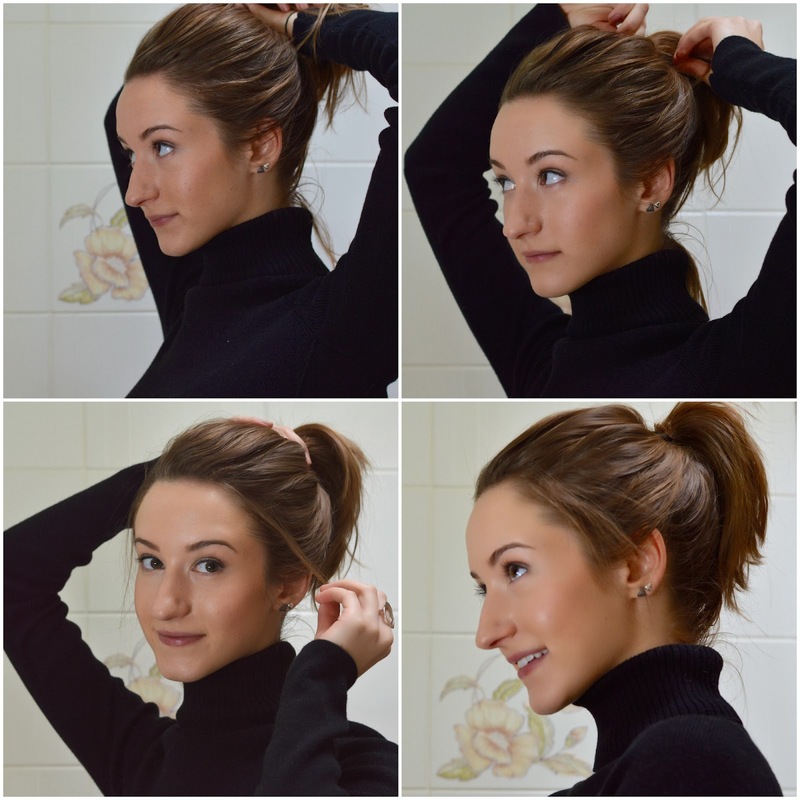 Here is a step-by-step overview of how I style a shine-free ponytail in under 5 minutes when I'm in a time crunch. Start with tangle-free hair and spray dry shampoo close to the roots of your hair. I like the original Batiste. Section the hair in pieces from front to back and tap osis+ texturizing powder along the roots. Massage products throughout hair to create volume and absorb shine-causing oil. Pull hair into a high ponytail with fingers, creating a loose and textured look to eliminate that "slicked back" appearance. Loosen specific sections to enhance volume at the crown of your head. Remove small bits of hair around your face to give a more "undone" appearance. This allows for more precise placement and reduces wasting product. The Schwarzkopf osis+ "dust it" powder causes your hair to feel very sticky and requires a decent amount of "massaging" to properly work its volumizing magic. The result is comparable to teasing with a comb, but without the hassle and damage. It is truly worth the price, if you don't dump too much out each time. 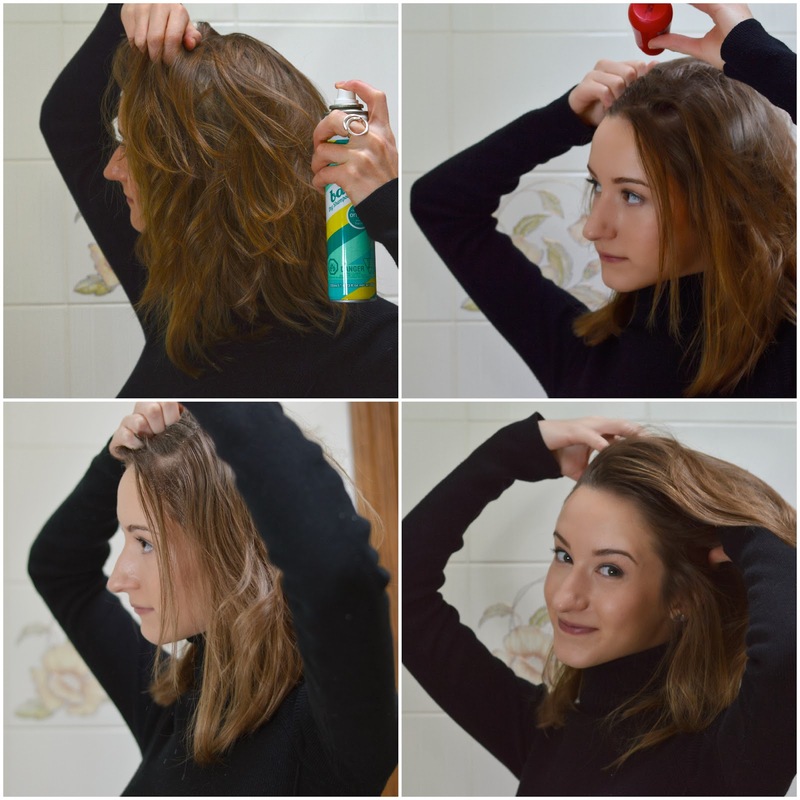 I hope this gave you some tips and tricks on how to keep your hair looking healthy and fresh even when it isn't freshly shampooed. Hair tends to overproduce oil when you continuously strip its natural oils in the shower, causing that greasy look to come even quicker. Use a shower cap or take a bath to eliminate that problem all together. And remember, you'll save money on buying less shampoo.